Momma Told Me: You're not playing that in my house! True story; the first time I ever played Twister I was 16, it happened to be the same day I learned to play Monopoly. I know, I know, what kind of childhood did I have? Well, understandably, Momma was not one for the concept of kids twisting up like pretzels next to expensive artwork and fish tanks. During my prime Twister years, we lived in a small 2 bedroom condo with no room for such shenanigans, and by the time I was old enough to partake in our new home with a yard and garage, and plenty of space- I was awkwardly tall and had outgrown the small plastic sheet board. Among the number of concerns most adults have about playing this beloved vintage game, number one is where the participants will play it. For those playing, or perhaps going through a mid-life crisis on a girl's night sipping wine and digging through their children's board games, the board is a standard size and highly inconvenient. Let's face it, this dotted sheet slides, tears, and outgrows anyone past 3 and a half feet in height. Let me revive your love or perhaps curiosity in this 1966 Milton Bradley game that was initially marketed towards adults at cocktail and office parties. 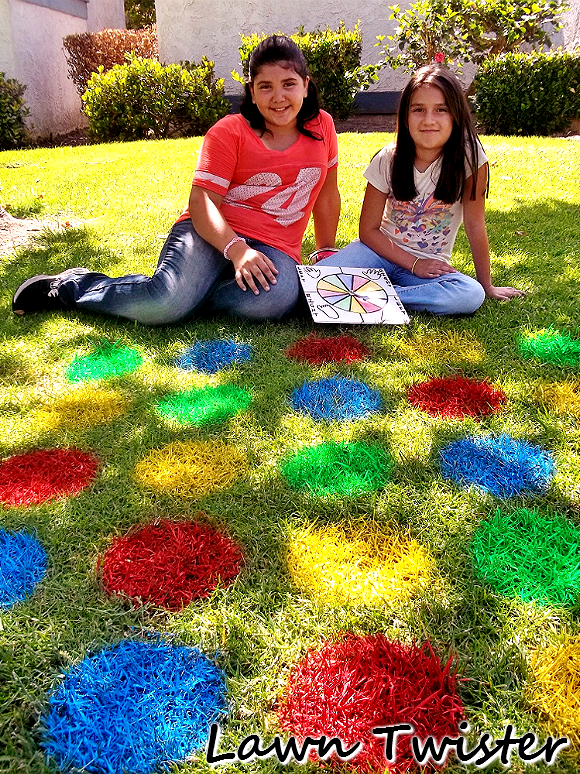 Introducing Lawn Twister; Twister on a scale that fits your needs- Do you have a party of 25, and need a 10 x 10 grid? Are all of your players adults and need spots further spaced apart? Are you trying to get your tots to work on their flexibility for the first time and need a smaller grid? 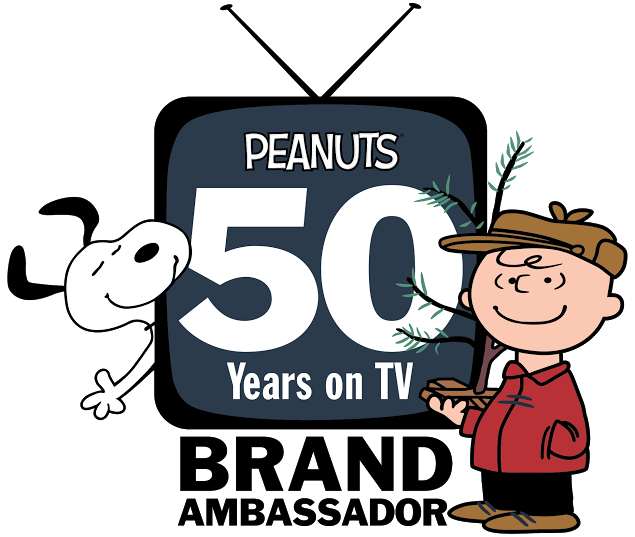 Or do you just have visions of a spotted tarp flying in the air as siblings collide in twister limbs, spooking the dog, to chase the cat who runs across your keyboard and deletes a nights worth of work? 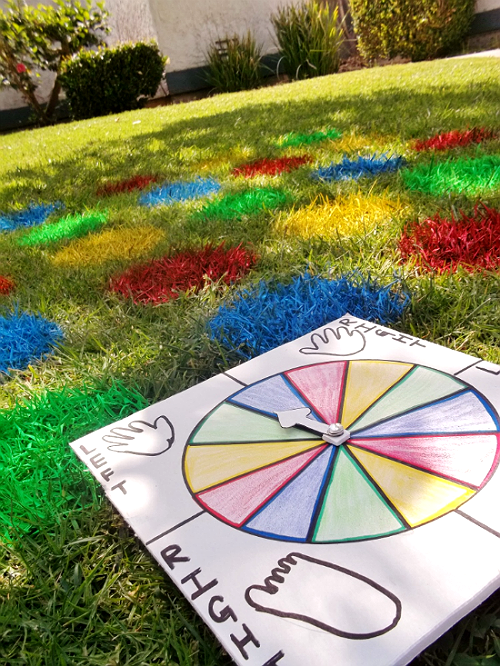 Lawn Twister isn't only entirely customizable as a party or social game (use spots with your team's colors, go neon for the 80s party, etc) its much more fun to play outdoors. Grass tends to have a better grip, and the board will last up to 5 days, or rinse off in minutes. Simply go to your local lawn and hardware store and as them to direct you to the marking chalk, or 'marking paint.' This will usually be located near the other aerosol based paints, and comes in water based (which you will want to get) in as many as 10 shades. Cut a hole out of a box bottom and invert the cans, spraying about 2-3 inches off the grass. 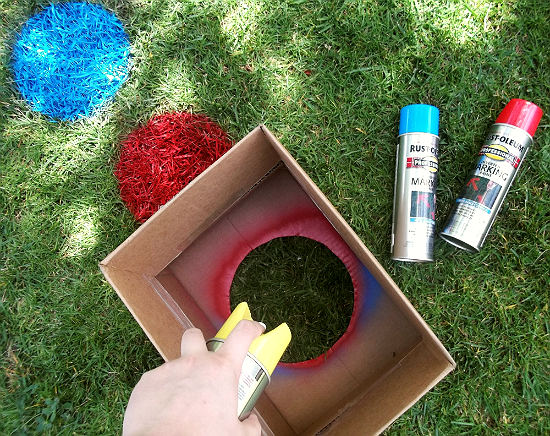 Having a deeper box will keep the spray from misting and make for nice even dots. 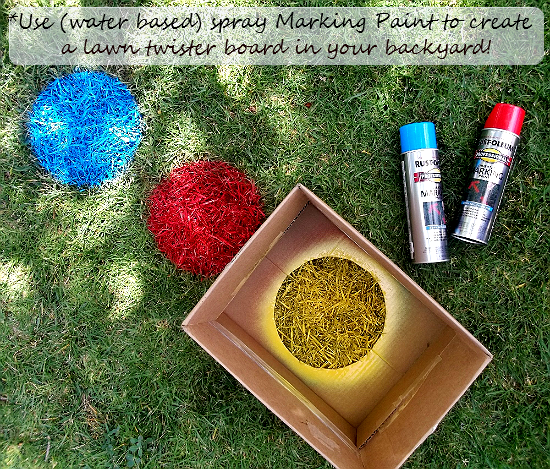 Allow the paint to dry a minimum of 30 minutes in sunlight before beginning to play. Some color may rub of on hands with sliding, but is entirely washable. 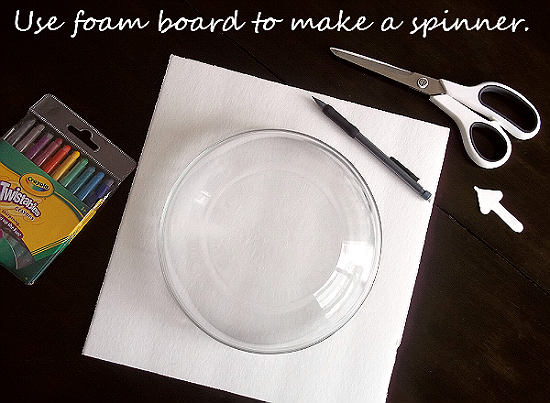 Create a simple spinner out of a foam board with an arrow attached by a tack, or have a designated caller to try and twist people up as best as possible. Enjoy! What Daughter Says: Play outside, it's healthier for you anyway! This is seriously a fantastic idea. Love it! Such a clever idea to get kids out of the house and away from the electronics. It's fun and it's exercise! What an awesome idea. This would be perfect if you were having a big crowd over because you wouldn't have to worry about keeping track of the Twister sheet or it standing up to alot of kids. My sister in law had a Frozen party last month for her daughter. 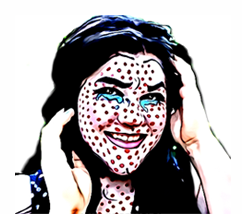 I was trying to think of something like this to use with the Frozen theme -- like maybe white and blue circles instead. Would be fun as a connect-4 type game, too! 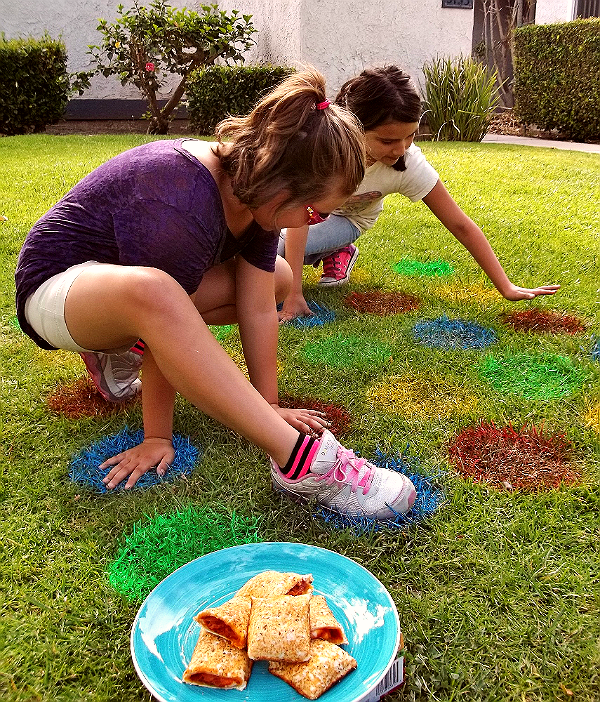 What a fun idea for outdoor play. I always encourage the kids to get outside more. You are one of the most clever people I know. 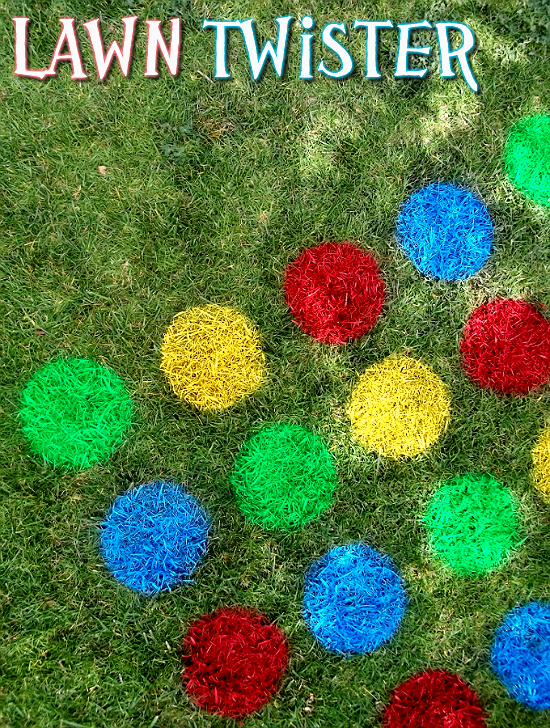 Seriously...Lawn Twister? This is a fun fun fun idea. You could do a twister marathon all over the lawn. The possibilities are endless. top croquet sets You leave your apartment when it's dark and you get back there when it's dark. No sunlight all day as you are surrounded by buildings tall enough to keep all of it out. some new writing style which is really nice. 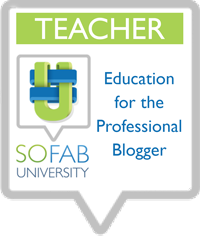 So thanks for sharing such a awesome post. Wow!! Mind Blowing Idea. All credit goes to you. Color ground helps the kid to play outside. Very interesting article! More useful information - http://bestsewingmachinesguide.com/. Awesome! 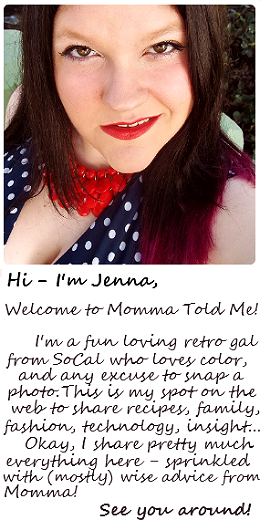 Thank you Jenna for this post. Remembering the golden Childhood days. I would definitely share this post to my nieces who would love this.